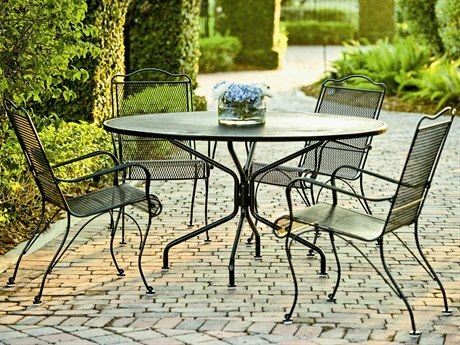 Dining al fresco requires a show-stopping dining set which is often the secret ingredient in making a great meal truly spectacular. 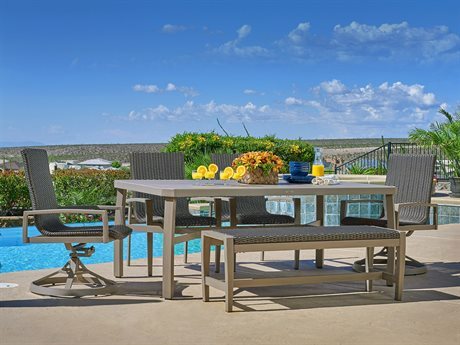 An exquisite outdoor dining set can elevate your patio to luxurious levels of entertaining in the heart of your backyard. 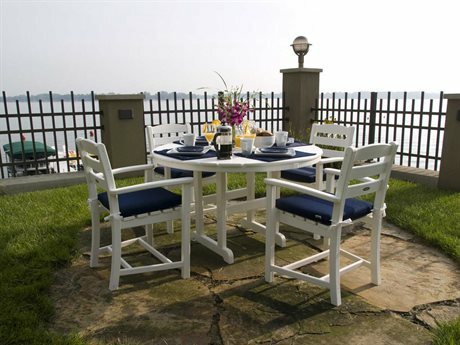 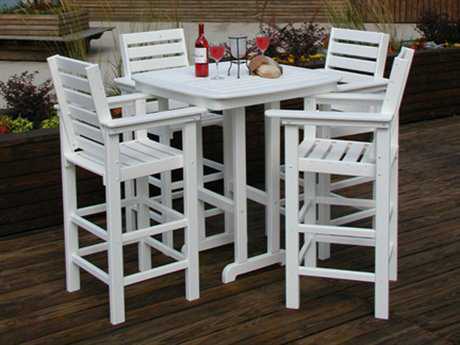 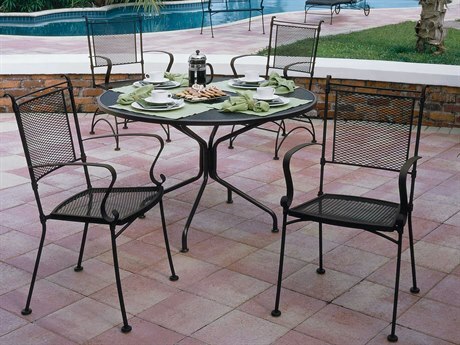 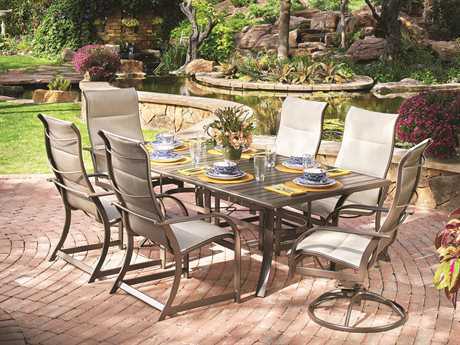 Patio dining sets generally feature distinctive tabletop options with coordinating chair sets to accommodate two people or even eight or more in a 9 piece outdoor dining set. 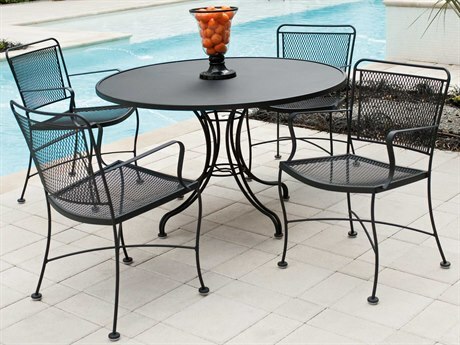 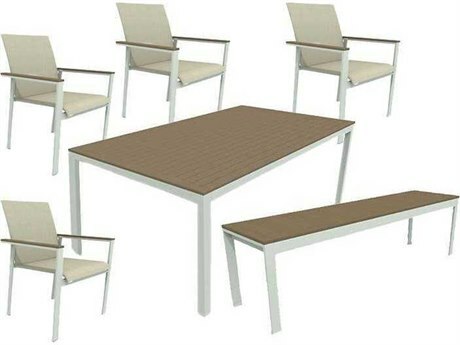 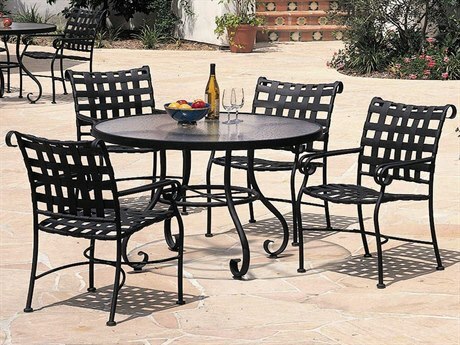 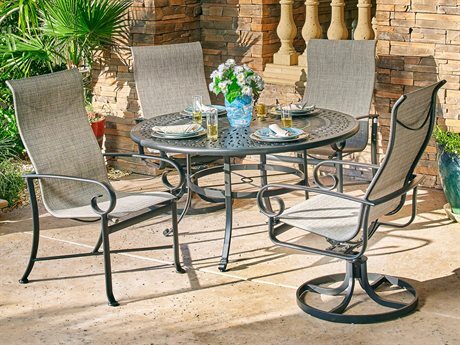 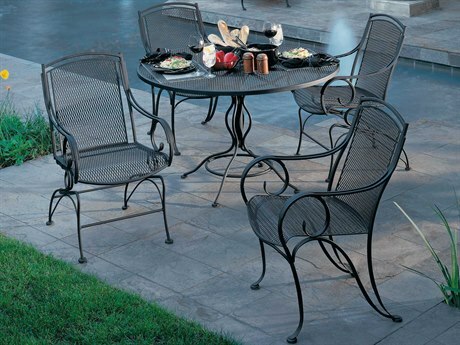 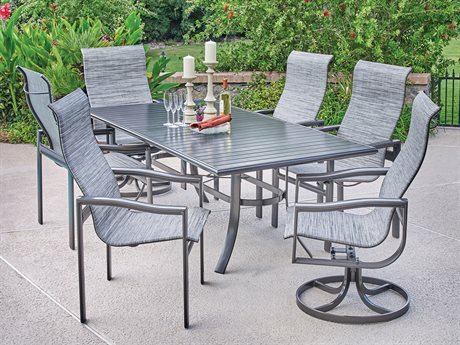 PatioLiving carries 5 piece patio dining sets and 7 piece patio dining sets to suit any size party so that everyone can enjoy a comfortable entertaining space in which to enjoy delicious food and great company. 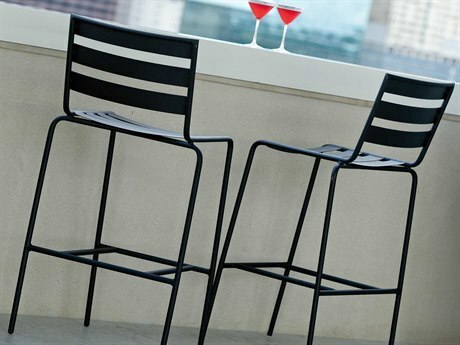 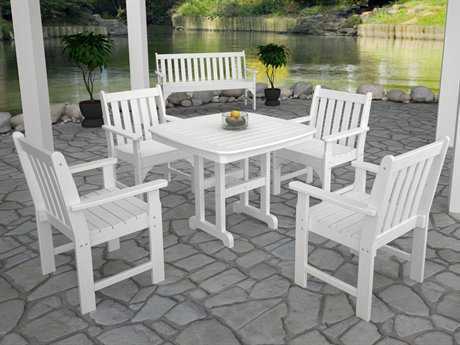 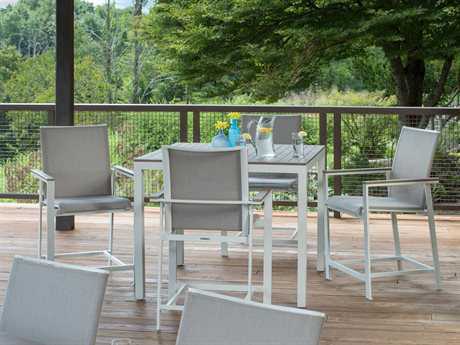 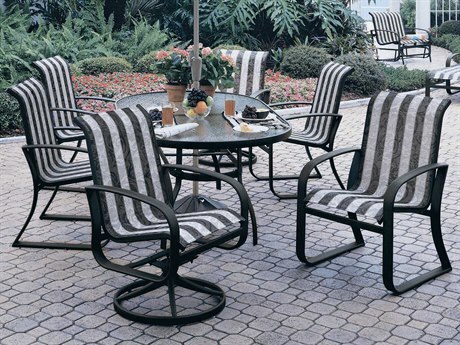 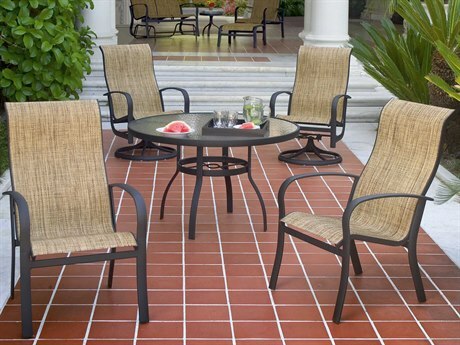 Our inventory includes selections from only the best brands, highly regarded for producing premium outdoor furniture and accessories, such as Tropitone, Vifah, and Koverton,. 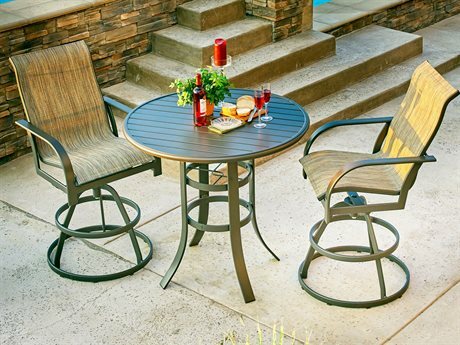 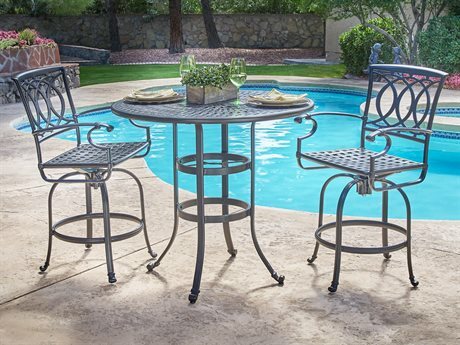 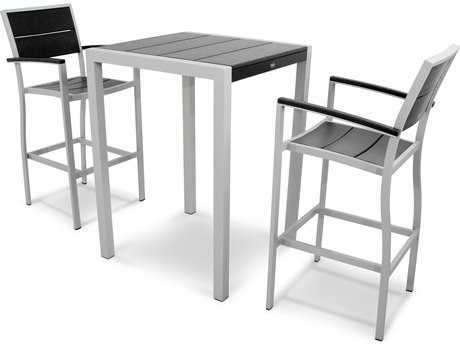 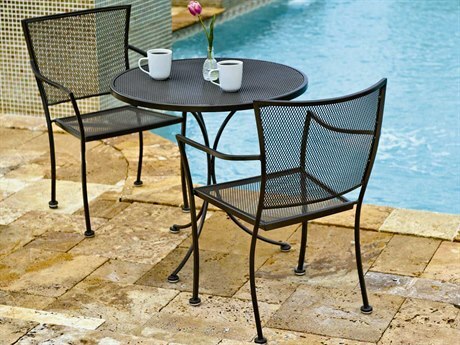 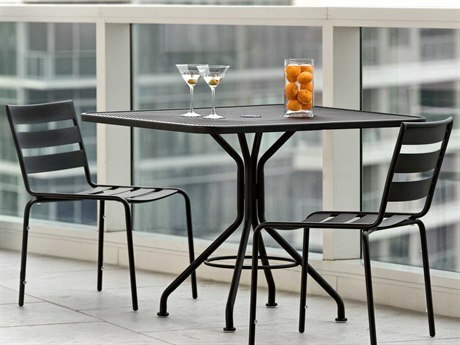 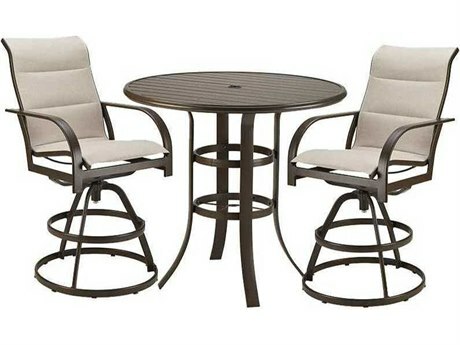 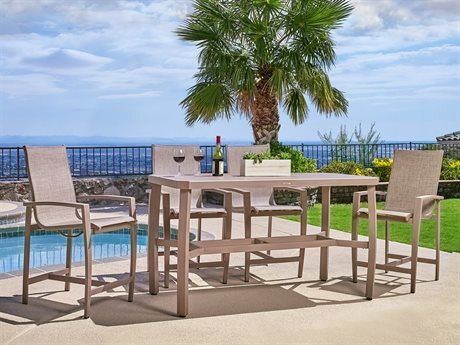 PatioLiving carries a diverse mix of outdoor dining sets sure to appeal to any style preference with casual, bistro, bar, and counter sets available to suit any entertainment setting. 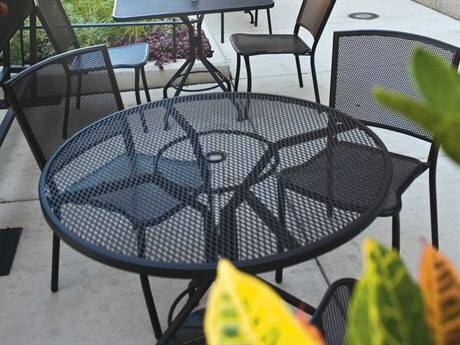 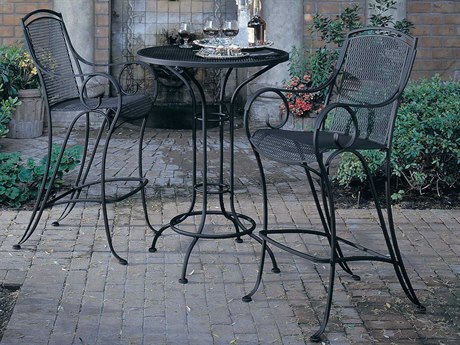 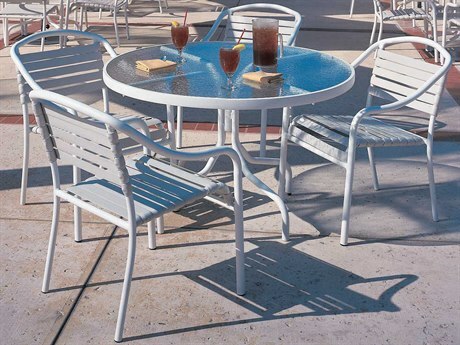 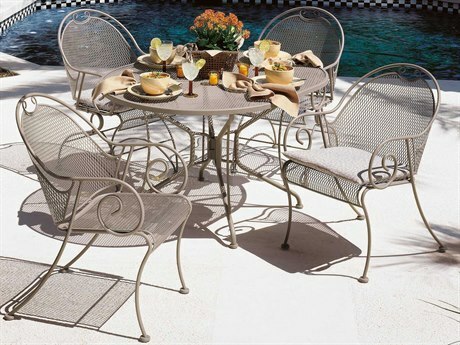 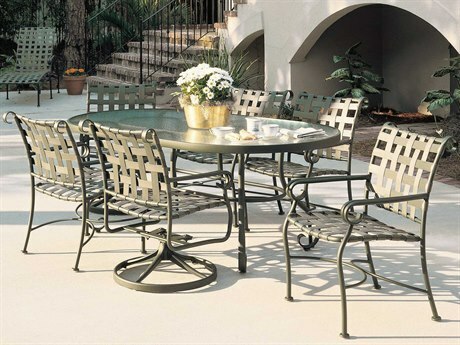 Patio dining sets can be crafted from virtually any standard patio furniture material from aluminum, teak, wrought iron, wicker, and recycled plastic models. 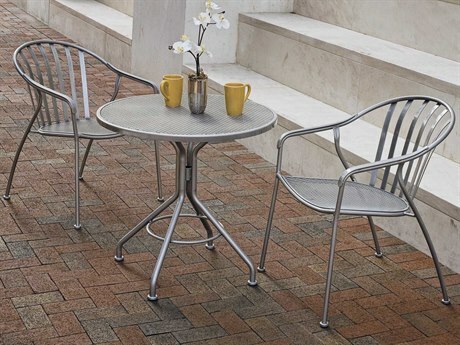 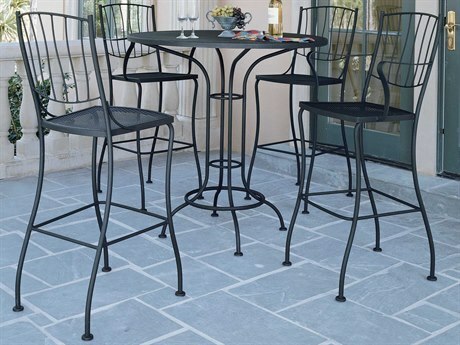 In many cases, an outdoor dining will feature a unified material construction throughout. 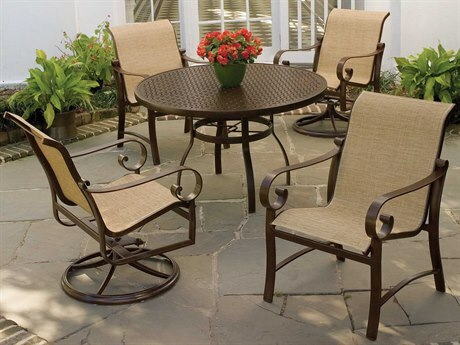 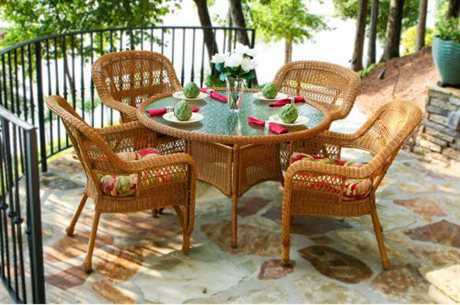 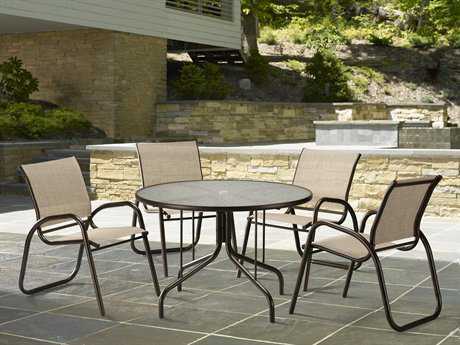 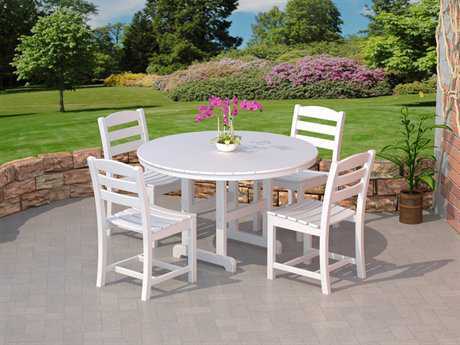 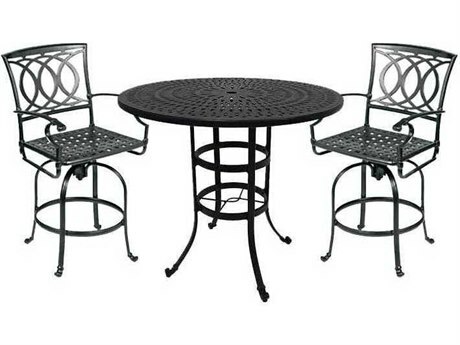 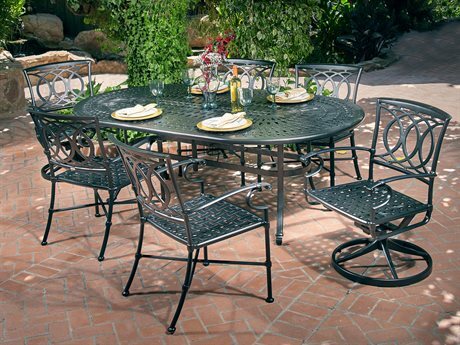 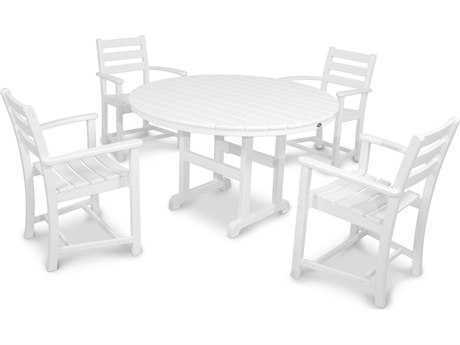 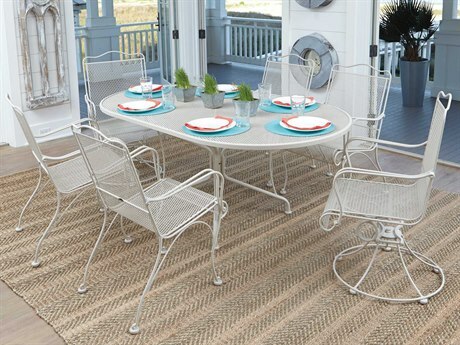 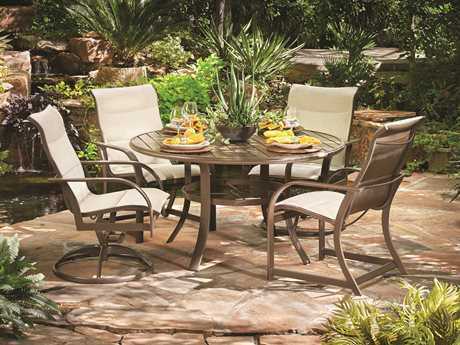 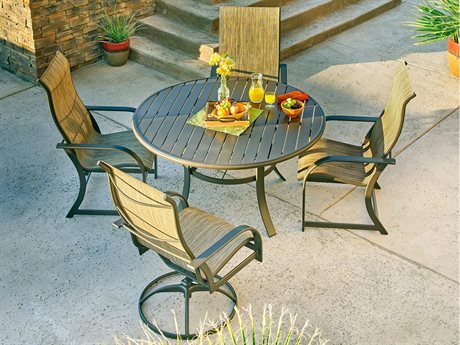 A centerpiece to any patio dining set features a substantial table with both picnic style table dining sets and round patio dining sets available with coordinating benches and chair sets. 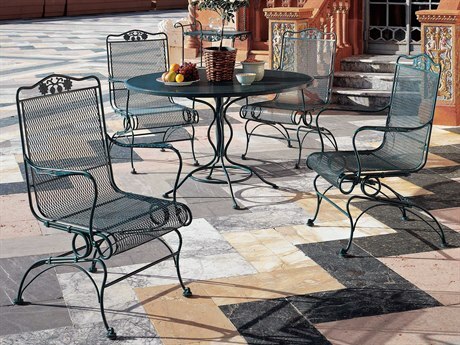 You can update your patio with style and panache with classic, contemporary, ornate styles available to suit any design preference. 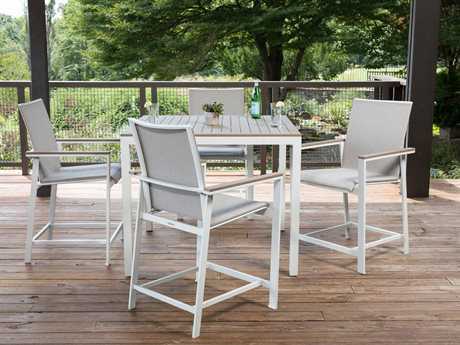 Make a statement with the simple and casual appeal of a Three Birds teak set with blonde wood finish or, channel European appeal with intricate, cabriolet detailing cast in aluminum from Woodard. 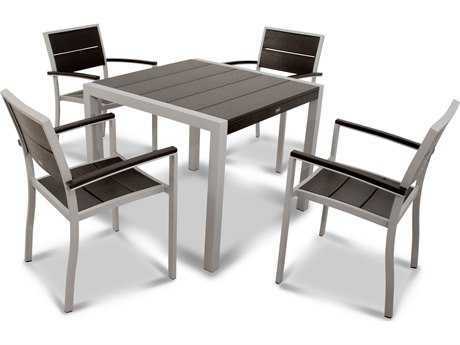 Outdoor dining sets are an easy way to create a unified space that amplifies your aesthetic style. 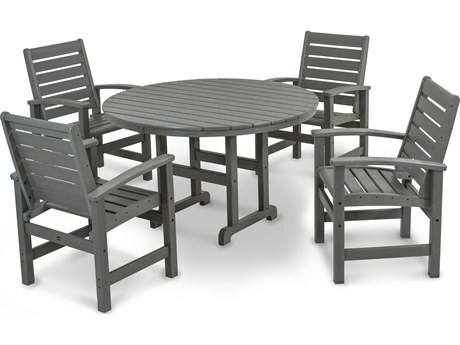 With over 1500 outdoor dining sets available from PatioLiving, a patio dining set can host a variety of gatherings for ideal for relaxing, entertaining, and socializing that is perfect for residential settings and commercial venues alike. 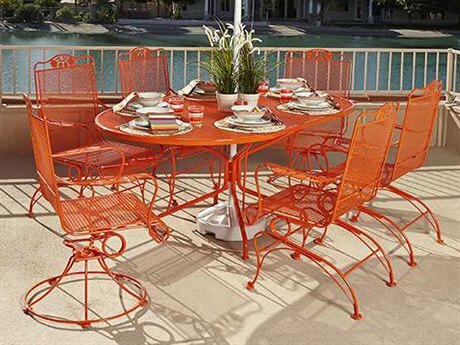 You can customize your outdoor dining set with colorful umbrella models, as well as cushions which bring in added comfort. 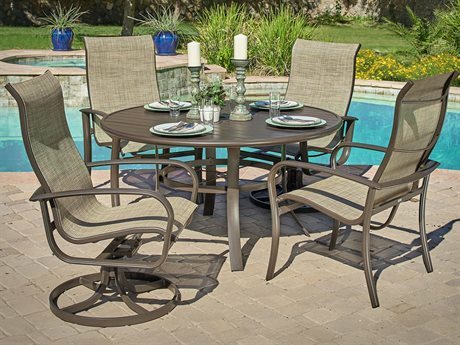 Outdoor dining sets provide an attractive backdrop to create cherished memories with families and friends whether you’re hosting a formal meal or kicking back with a drink.